What Legal Operations solution do you use? 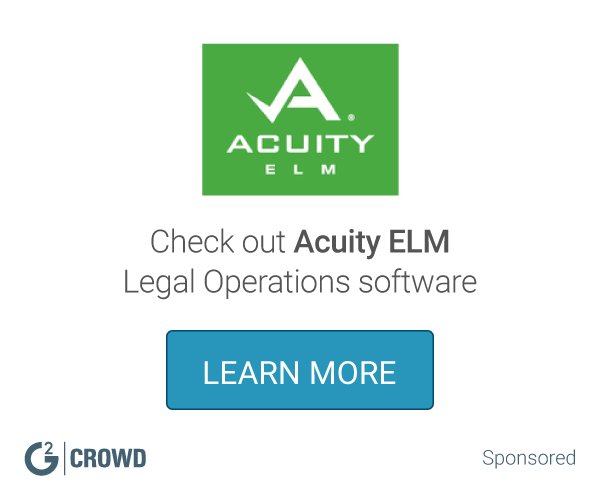 Acuity's enterprise legal management software provides the tools and intelligence you need to set your legal team's strategy and accelerate your evolution from cost center to business partner. Legal Gateway enables teams to manage risk at speed, and reduce external spend while increasing client satisfaction and employee engagement. * We monitor all Q-Law reviews to prevent fraudulent reviews and keep review quality high. We do not post reviews by company employees or direct competitors. Validated reviews require the user to submit a screenshot of the product containing their user ID, in order to verify a user is an actual user of the product. Hi there! Are you looking to implement a solution like Q-Law?